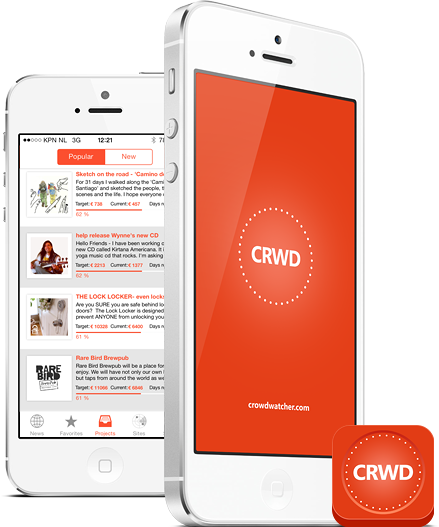 Crowdwatcher | Discover amazing crowdfund projects on your iPhone. projects on your iPhone and Android. 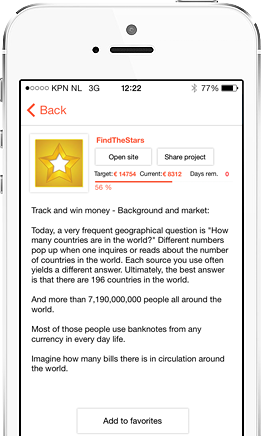 All crowdfund news and projects in one app. 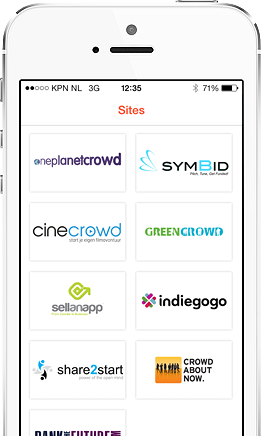 CrowdWatcher provides a simple overview of crowdfund projects and crowdfunding news from all over the world. A unified platform for all popular crowdfund sites. 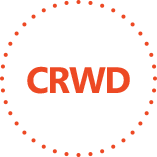 CrowdWatcher brings you the latest crowdfund projects from the most popular crowdfunding sites around the world. 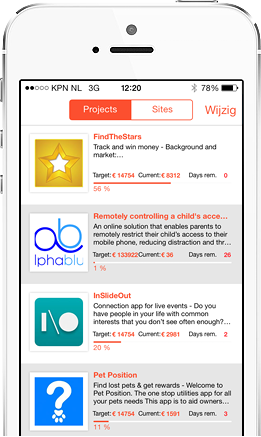 Keep track of your favourite crowdfund projects. Thanks to CrowdWatcher you won’t miss out on your favourite projects. Mark your favourites and easily monitor project changes with push notifications. Try CrowdWatcher now and download the app for free.